Named the most capable off-road vehicle in the lineup for the 2017 Jeep Grand Cherokee from El Paso, the Trailhawk enters the scene with a set of enhancements. Boasting of greater power to conquer various road conditions and surfaces, the Trailhawk also bears a more masculine look, fitting for the kind of driving performance it delivers. If you’re into off-road adventures and are in need of some might, watch for this model from a Jeep dealership in El Paso once it’s released in the summer of 2017. 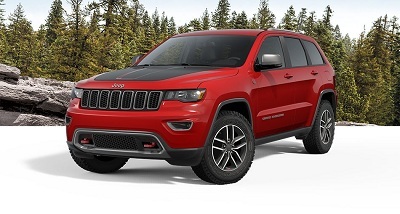 The 2017 Grand Cherokee Trailhawk offers a range of features that allow it to overcome tough road conditions. Among these are four-wheel drive equipment that includes Quadra-Drive II for maximum traction and stability. Posted on August 27, 2016 by CedrickPosted in BusinessTagged 2017, cherokee, dealership, grand, jeep.